Buyers may come face-to-face with Amazon employees for the first time as the company confirmed Monday it plans to hire its own last-mile delivery drivers during the holiday shopping season. Business Insider cited an Amazon spokesperson who told the publication: "Seasonal employees have long been utilized to supplement capacity during peak shopping periods. This holiday, thousands of full-time, seasonal Delivery Associates will deliver to customers during the busy retail shopping season." Up to this point, shoppers have seen their Amazon packages arrive via UPS, FedEx, USPS, regional courier, sub-contractors, and Uber-like "Flex" drivers arriving in their own vehicles. The move to use its own salaried seasonal employees to deliver packages may seem surprising given Amazon's splashy announcement in June to use Delivery Service Partners (DSPs), a program that has the look and feel of a franchise model. As GeekWire pointed out today, "In an odd twist, Amazon is technically now competing with entrepreneurs running Delivery Service Partner operations, at least in terms of hiring drivers." Amazon's experimentation with various last-mile delivery models shows its focus on building out reliable logistics. Its determination to reduce dependence on third-party shipping carriers came to the fore after the fiasco of holiday 2013 when some customers did not receive their orders in time for Christmas. Walmart's Jet division learned its own lesson in 2015. The news that Amazon is developing its own fleet of seasonal delivery drivers came on the same day Amazon revealed it's offering free shipping to all customers during the holidays, including non-Prime members. While large rivals are trying to leverage their brick-and-mortar stores to offer their own customer-friendly logistics, other competitors will be left struggling to compete with Amazon's fast and free delivery. 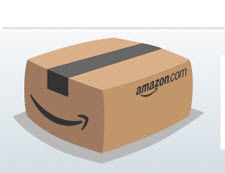 Don't wait for me to even TRY to COMPETE with AMAZON offering Fast and Free. To the contrary, TODAY is the day we all need to let this latest "We Wanna Be Amazon" insult from eBay and REMOVE free shipping from listing after listing to stave off GUARANTEED DELIVERY from rising up and biting us when we have already CHOSEN not to participate. Huh? Yes, now that eBay has announced that THEY will (all on their own) FORCE OPT any seller who shows FREE SHIPPING into their Wrong-Headed GUARANTEED 3-Business Day Delivery Fantasy Land BrainF#rt. Yet another way that eBay is without a CARE IN THE WORLD has elected to put the livelihood and $ca$h money of their sellers at serious risk. TWO ways this can ( WILL ) bite random sellers. Yes, random means YOU and ME. I love and embrace the reliability of USPS for both DOMESTIC and EXPORT shipping, but with over 15,000 sales I've seen somewhere up around 100 OOPSIES that I've caught and likely twice that many that just never quite rose to the level that a buyer even ASKED to know why THEIR package took soooooo long to arrive. It will in effect hand any RANDOM seller's reputation into the loving arms of FREIGHT CARRIER's actions, inactions, weather delays, ROAD ACCIDENTS affecting over-the-road trucking, and just general "stuff happens" in such a way as to make having handled any given order EXACTLY CORRECTLY into a BLAME THE SELLER GAME. WORSE, it will be setting up GOOD, BETTER, and BEST sellers to get "TAXED" 40 percent MORE on final value fees for things completely out of those sellers' control. FORTY PERCENT ! Just how out of touch could eBay management possibly be to decide to use H-Bombs to kill Cockroaches? Slavery returns? Are the employees getting extra pay for those deliveries? For the buyer (me) the free shipping is a god-send; but for the seller (me) not so. I still charge a "small" amt for shipping. It's only fair. I think I'll put in my description box that I am a small, below $20,000 a year seller and I don't participate in free offers and discounts.